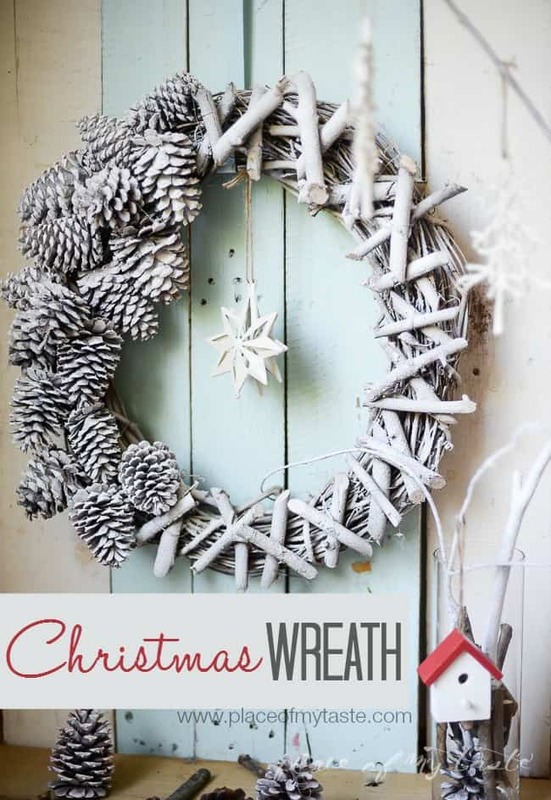 Christmas wreath- Make this amazingly gorgeous wreath in no time. 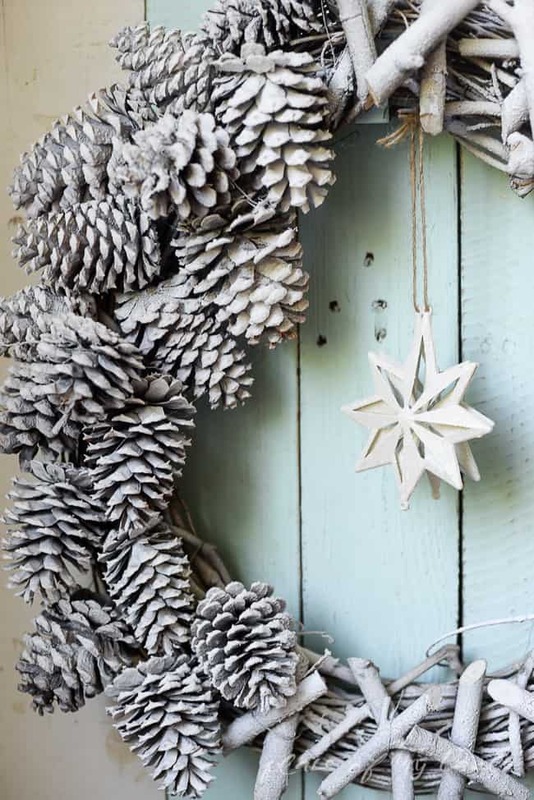 All you need is a few twigs and pinecones from your backyard. Here is my very first Christmas project this year. I started seeing Christmas decoration all over blog land in the past few weeks, but I just did not feel enough inspiration to start sharing in early November. 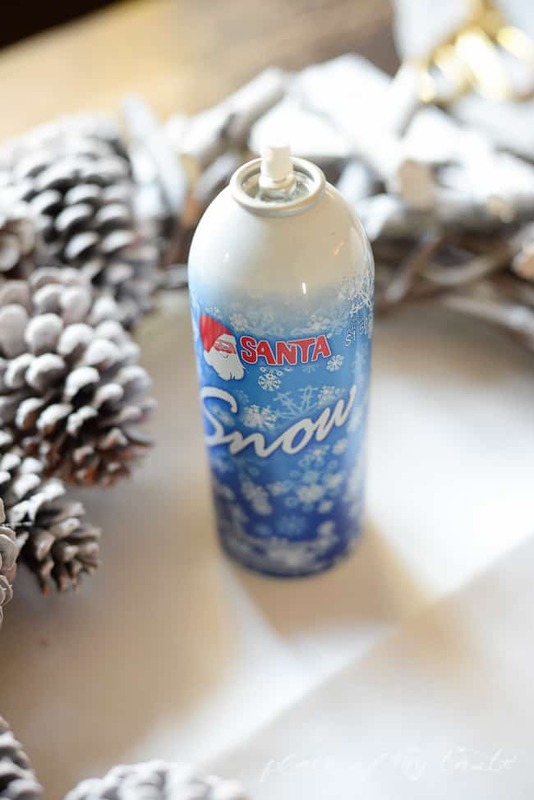 Usually, I start decorating my home right after Thanksgiving, and I love love love decorating for Christmas… I love the smell of the Christmas tree, the beautiful lights at night, ornaments, pine cones and everything about the holidays. Last year I had lots of red and white accents in our home, and this year I am leaning towards more of the neutral/white color combination. Maybe a little silver/white combo added as well. 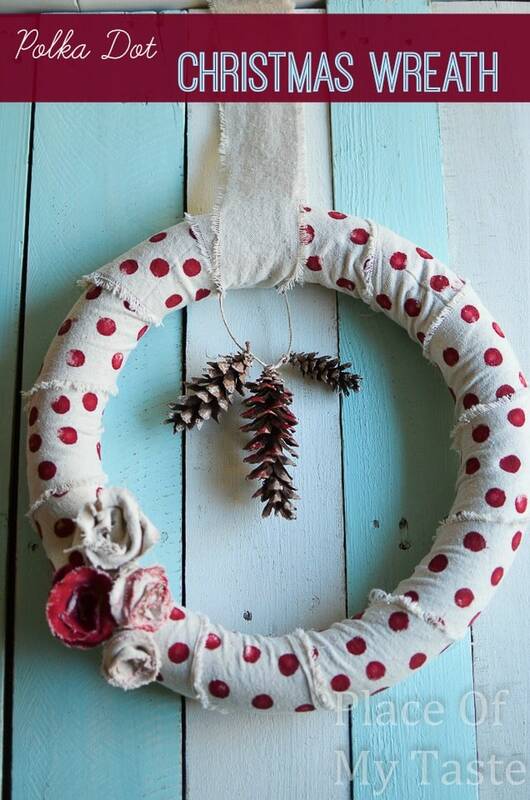 Read further to see my version of a Christmas wreath! and have it ready to be hung on the front door right after Thanksgiving. I went out to the backyard to dig some branches and twigs, and I asked my hubby to cut them for the same size. If you don’t have the option to cut your branches with an electric saw you can do it with a smaller hand saw as well. 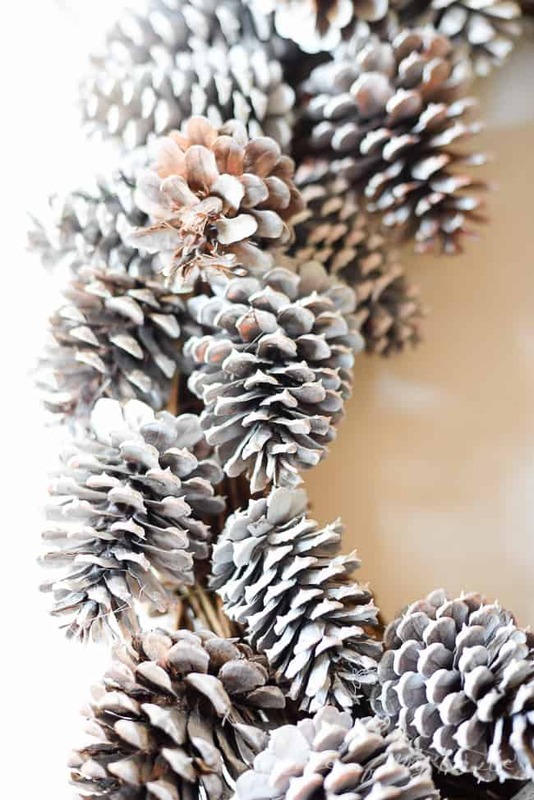 I spray painted the pine cones (the ones I painted orange for my fall home decor previously) with WHITE spray paint. 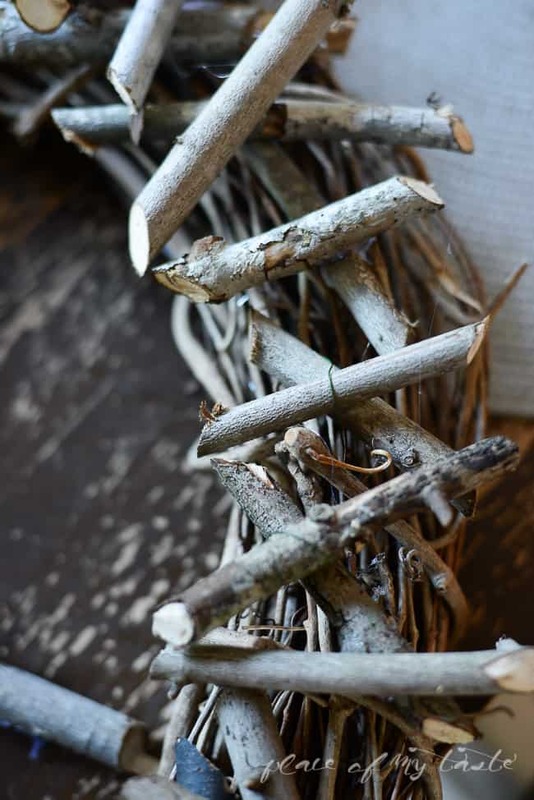 I glued the twigs together like an X shape then I secured the X shape to the wreath base. I used floral wire to attach the pine cones and the twigs to the wreath base. It took me a little time to fix this beautiful wreath, and I love how it turned out. What do you think? 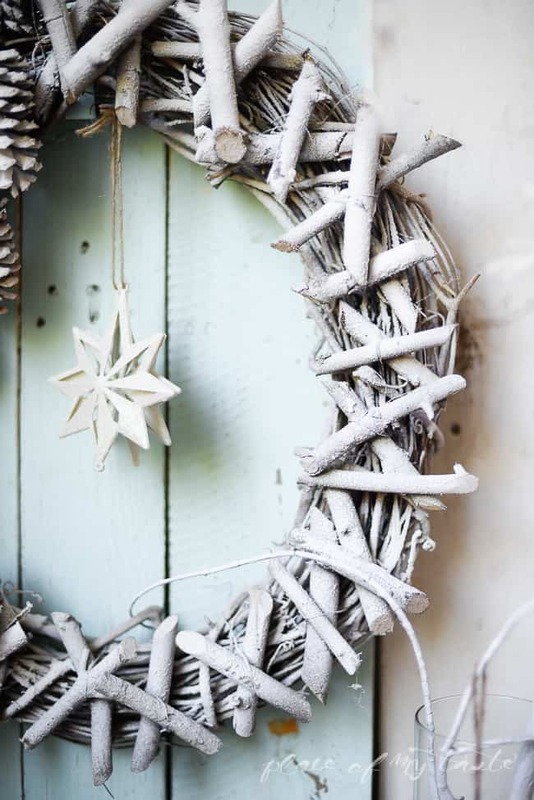 I am in love with the white and rustic look. So pretty. SO creative Aniko!!! Love the rustic look and the snow is the perfect finishing touch!!! 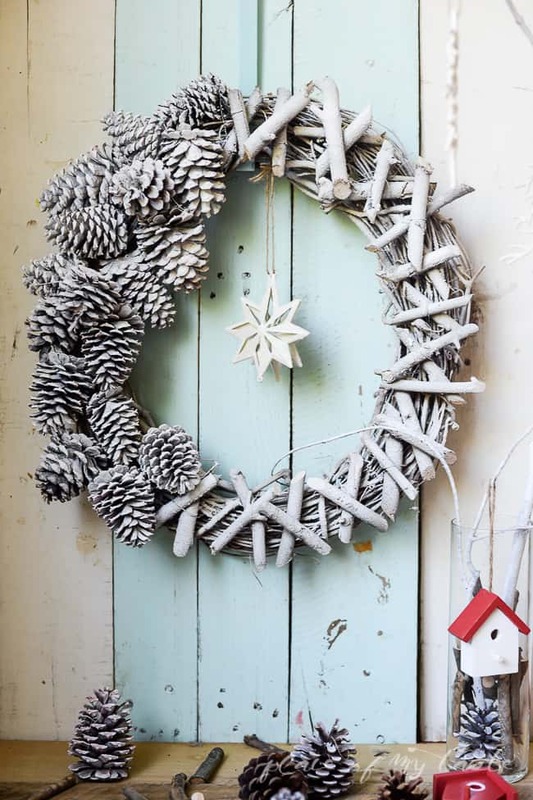 The snow really made the perfect final touch to this wreath. Glad you like it;-) Hugs! Love this look! We would love for you to link up with us!! I will come and link, Lady! Thanks for visiting today have a great rest of you week! It makes my heart happy too:-) Can’t wait to hang it on my door♥ Thanks for the visit! SOO pretty! I love the all white with the different textures! Thanks Lady! Have a wonderful rest of your week! Thanks for the info about the hot glue! The front of my house is always in full sun year round! I never would have thought the glue would melt that easily. I am in Louisiana and sometimes the days are still warm. Today in the upper 30’s to low 40’s. In a few days back to the 70’s. 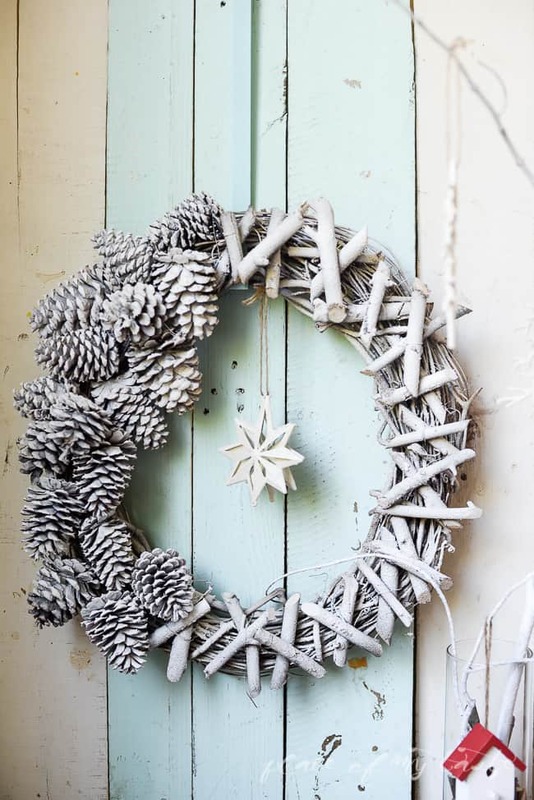 I also loved the pure simple look of the wreath! Would look great against my black door! Tammy, I did not think either until I created a pretty wreath and after hanging on my door for half a day ( pretty sunny day) all the flowers were on the ground. It was so disappointing. 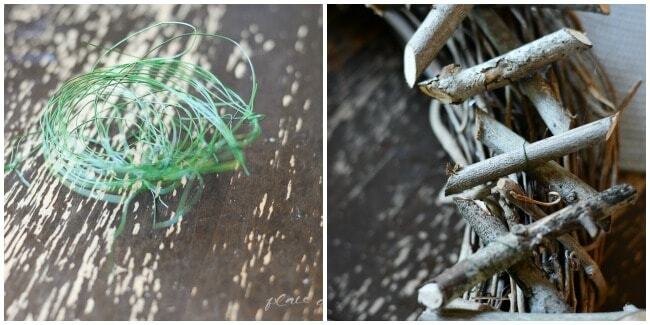 Since then, I try to create wreaths without a glue:-) Hope I inspired you today! Have a wonderful week. Thanks for stopping by Amanda! Gad you got inspired and I can’t wait to see your wreath:-)Hugs! LOVE THIS IDEA. THIS IS SOMETHING I COULD HAVE THE KIDS HELP ME MAKE AS GIFTS.